Dr. Peterson does a wonderful job in his book examining quite comprehensively various forms of practical wisdom embedded into religious myth, and explores the the historical ramifications of the value systems subsequently derived and maintained by human societies throughout their development, particularly that of western culture. I feel that the book and the topics it explores are, or at least have become in recent years quite timeless as it employs a thorough study of the conception of and nature of ideological beliefs inherently sprung from the human individual and subsequent culture as viewed through a historical lens. While the book is quite dense in its material, the audio version of it makes it immensely approachable. It is aided additionally by it being narrated by the author himself. 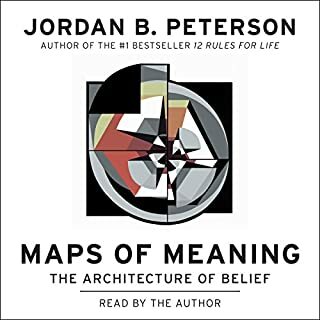 I would recommend it therefor especially to people who want to delve into the material and form a grasp of Peterson's arguments but are shied away by the book's daunting density on paper.